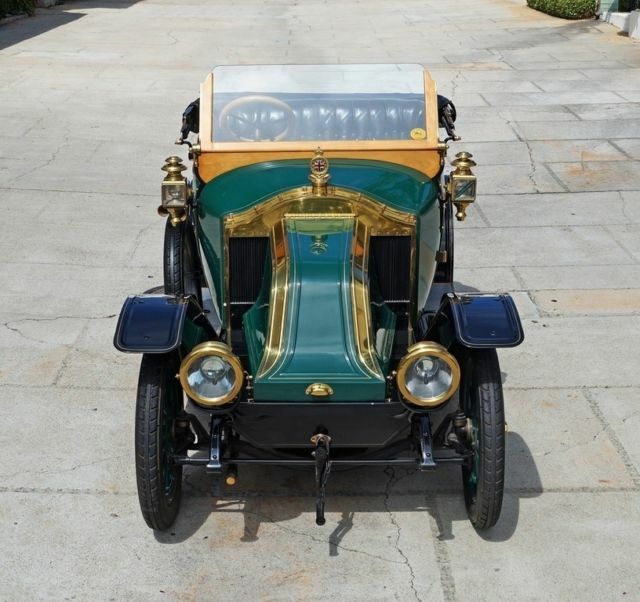 Offered for sale is a truly remarkable 1911 Renault AX Roadster with coachwork by Cann Ltd. of London. Judged the National First Prize Winner for Best Restored Foreign Automobiles by the Antique Automobile Club of America (AACA) in 1965 and awarded “Best in Class” (Antiques through 1915) at the 24th Annual Pebble Beach Concours d’Elegance in 1974, this AX has been at home in respected collections since the 1960s and is arguably the finest remaining example in existence. 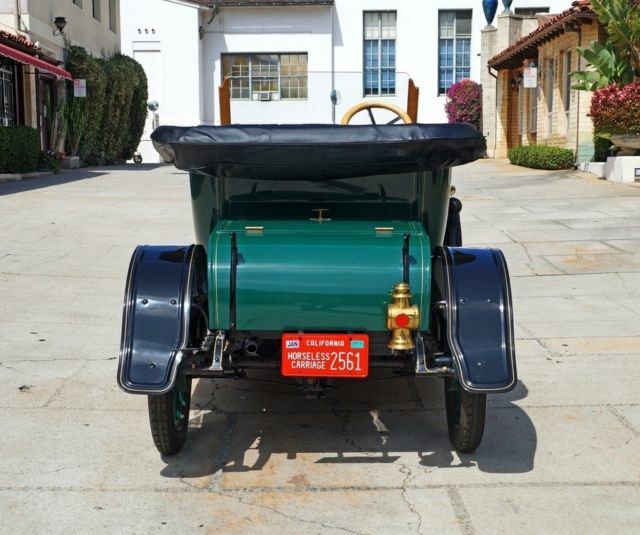 Originally restored at some point in the early 1960s, the car was owned by a Mr. James Missimer of Santa Barbara, CA until 1972, when it was acquired by Mr. Willet H. Brown, a radio and television station pioneer who also happened to own Hillcrest Motors, the longstanding Cadillac dealership in Beverly Hills. 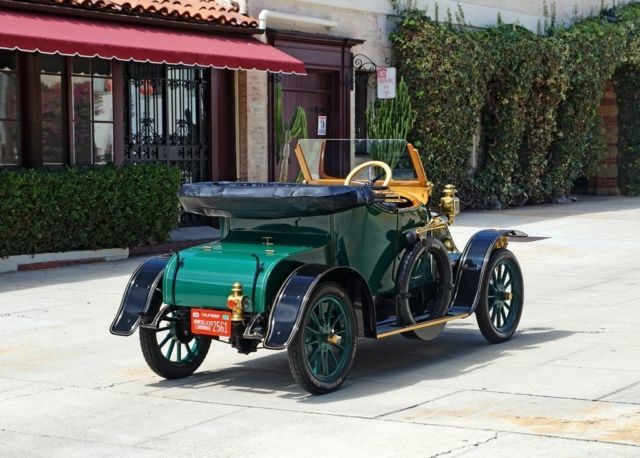 In addition to new Cadillacs, Hillcrest maintained a substantial classic and exotic car collection in their inventory and it had its own in-house restoration shop, managed by the collection’s curator, Jimmie Duffy, III. 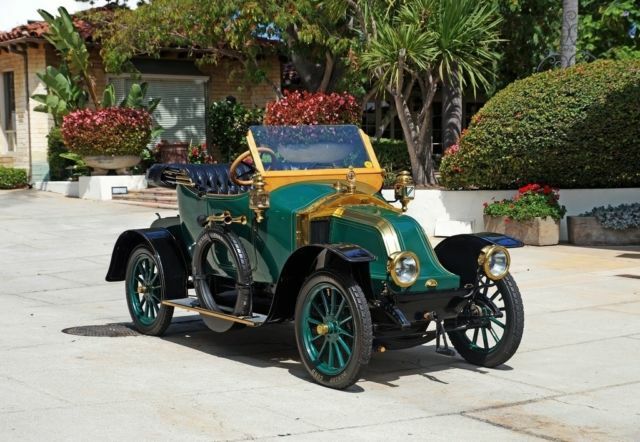 In addition to the AX Roadster, in the same period Mr. Duffy also sourced a companion car, a 1910 Renault AX “Taxi de la Marne” with coachwork by Audineau & Cie. Mr. Brown directed Mr. Duffy and the Hillcrest shop to restore both cars to Concours quality, the results of which garnered entry and awards for both cars at a number of respected events, including the Pebble Beach “Best in Class” win. 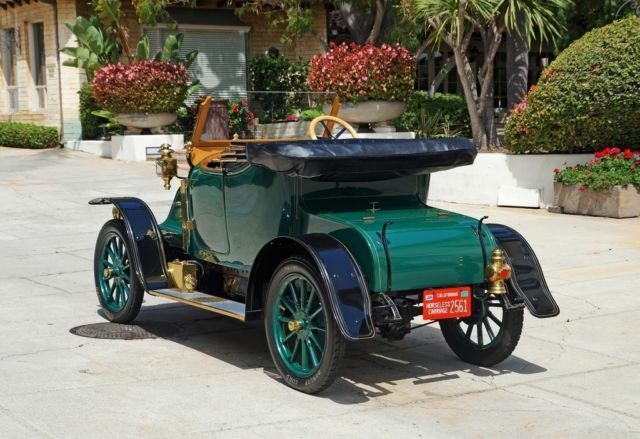 Two of his personal favorites, Mr. Brown would retain the Renaults in his collection until his death, when the cars were subsequently sold by his estate at the Sotheby’s Petersen Museum Auction in 1995. The lucky winner of the AX Roadster was Mr. Robert J. Gottlieb, a renowned attorney whose clients included the biggest names in the automotive industry: Cadillac, General Motors, and Petersen Publishing, to name a few. A classic car connoisseur, he became one of the world’s foremost authorities on the subject, contributing his editorial expertise to automotive magazines, including “Classic Comments,” his long-running column forMotor Trend. 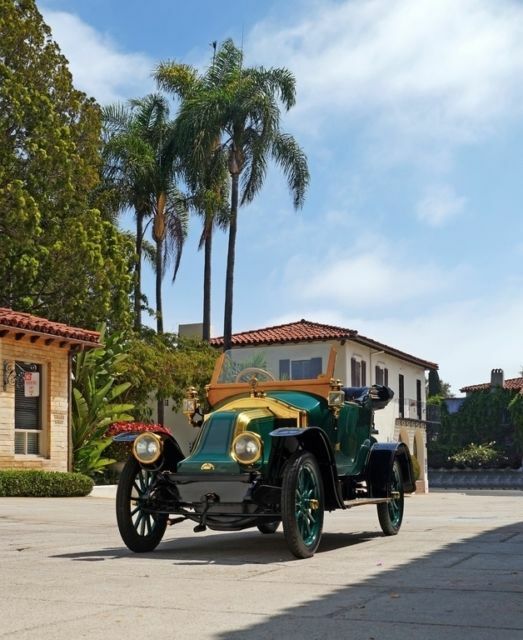 Also at the auction was Jimmie Duffy, who watched with mixed emotions as a number of the cars that had been in his care for decades were parceled off to new homes. Mr. Duffy approached Mr. Gottlieb and told him about his affiliation with the car, a conversation that lead to a friendship of sorts and resulted in Mr. Duffy doing everything he could to seek out records, photos and correspondence about the car from his former employer’s family. 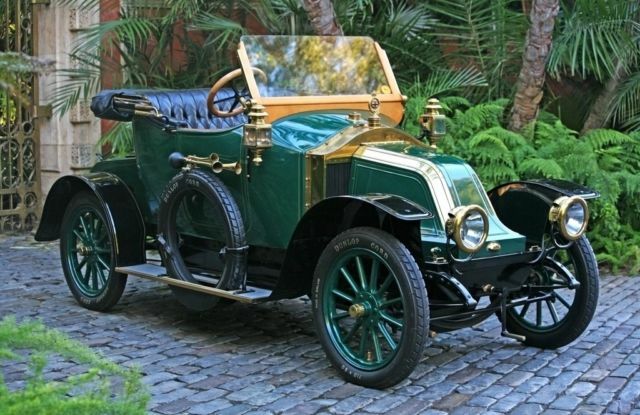 His efforts were largely successful and he gladly forwarded everything he could to Mr. Gottlieb on the condition that it all always stay with the car. 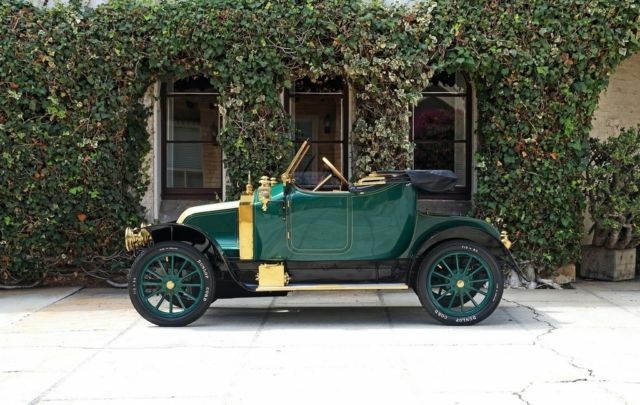 Mr. Gottlieb recognized Mr. Duffy’s passion for the Renault, and he understood it – Mr. Duffy had been involved with the car for more than three decades and it was, after all, his labor and attention to detail that caused the car to go on to win its class at Pebble Beach. Mr. Gottlieb felt the car belonged with its truest caretaker, and so, when he passed away in 2004, he left instructions for his widow to gift the car to Jimmie Duffy, something he would be eternally touched by. Unsurprisingly, he provided the car the finest care, storing it in his large personal garage for the ensuing 12 years. His passing this summer has resulted in the car being offered today, on consignment for his estate. Despite having been restored some four decades ago, sparing use and proper care ensured that the car remains in excellent condition throughout. 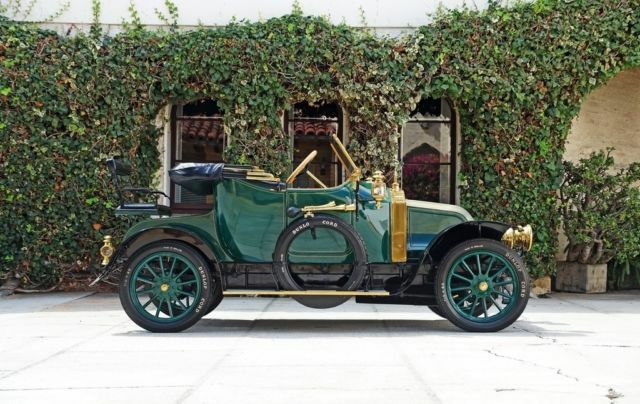 The incredible quality of the restoration is evident in each aspect of the car - it’s clear that absolutely no shortcuts were taken and consequently the finishes have held up splendidly, exhibiting only a charming patina that serves to tell the car’s story and only adds to its charm. The gorgeous green and black finish is entirely consistent, retaining incredible depth and luster and marred only by incredibly minor imperfections, most notably on the exterior of the fully functional folding “Dickey Seat” behind the main passenger compartment. Cloaking an entirely straight body, the finish is beautifully offset by a substantial amount of brass detailing, including the radiator, horns, Union Jack mascot (befitting of its British coachwork) and Rumor of Paris acetylene burning headlamps, running lights and tail lamps, among other trim pieces. 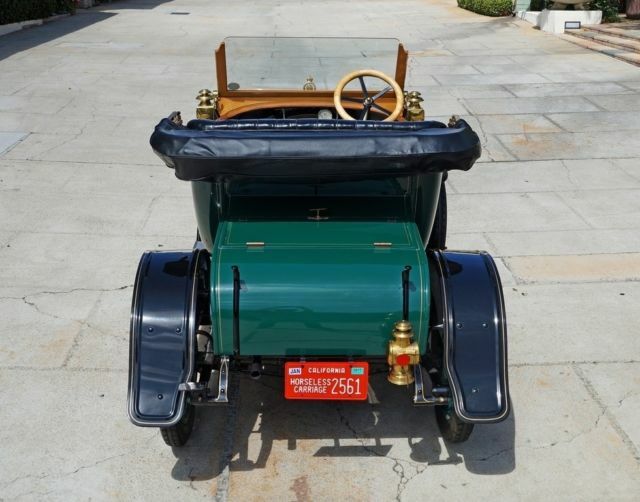 All of the wood trim is also in excellent condition, defining a passenger compartment fitted with a large wood steering wheel, Jones speedometer and tufted Black leather upholstery of the period, showing patina typical of a well cared for older restoration. Unused for the better part of four decades, the car’s canvas soft top remains in good condition, as does the vinyl boot cover. Lastly, it should be mentioned that the entire car – body and chassis – is entirely rust-free, the undercarriage in excellent condition throughout. 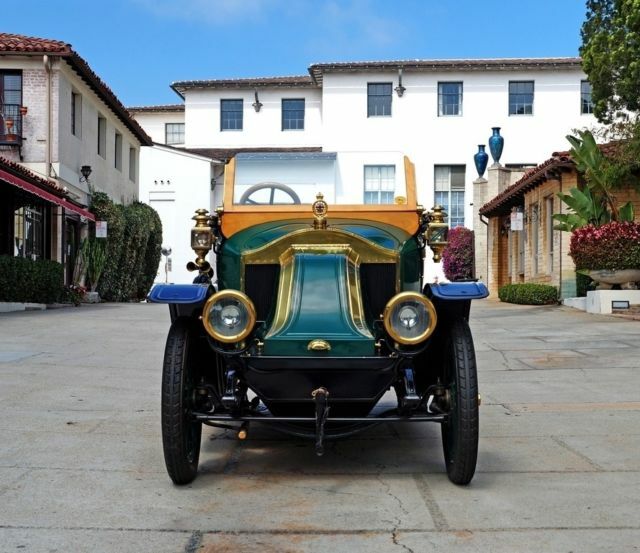 The car is mechanically strong and correct, recently gone through and sorted by Roy Miller, a Pebble Beach Concours judge and period expert with more than 50 years experience. The original side-valve-type, L-head, 1.1L, 67 cu. in., 2 cylinder engine starts easily, idles smoothly and pulls strongly and smoothly through each of the three gears. The car is fitted with a Zenith carburetor – a common replacement – and although producing only 9 horsepower, the car is capable of speeds up to 35 mph, a true speed demon of its day. The brakes and suspension all function properly and despite its long periods of dormancy, the car is mechanically sound and ready for use. 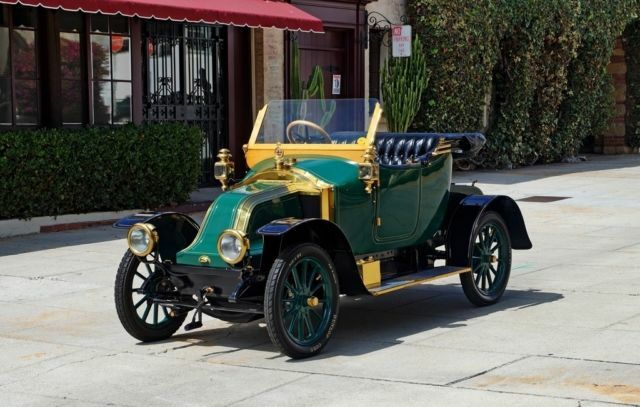 The car has also appeared in a numerous publications: Motor Trend Magazine, In Retrospect, Thoroughbred Cars and Old Car Illustrated, just to name a few. The Motor Trend and Old Car Illustrated issues are included with the car, as are a number of archival photos, restoration photos, correspondence, registration history, car show programs, etc., all compiled by Mr. Duffy in a thick binder. Please Note: The car is currently titled in California under its Magneto Serial Number (6114), however the correct original Chassis Number is 24193.